Mac and cheese is a comfort food I have been enjoying since childhood. My dad hated pasta, but my mom would make this for lunch for her and I on occasion. 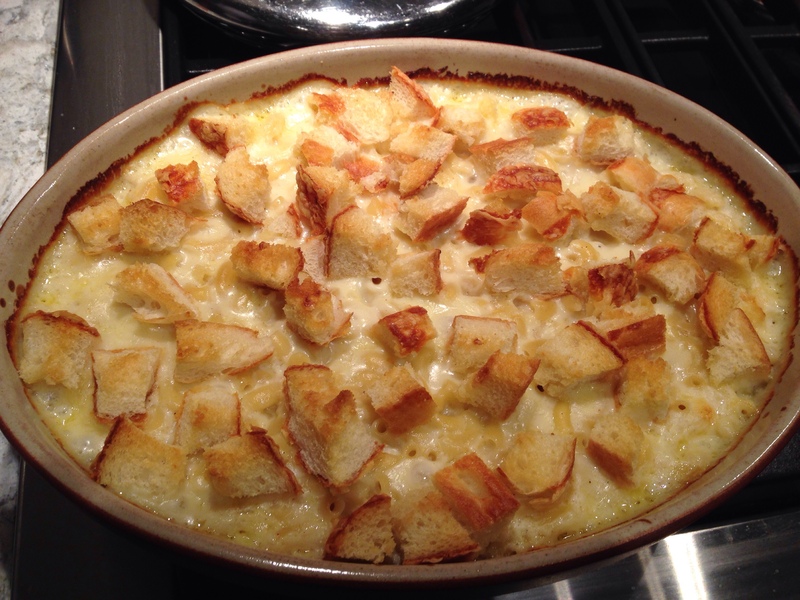 Although I have posted my “quick” version of mac and cheese, I have never posted “old faithful”! Here it is. Bring a pot of salted water to boil. Add the macaroni and cook for about 5-6 minutes or according to package. Drain. 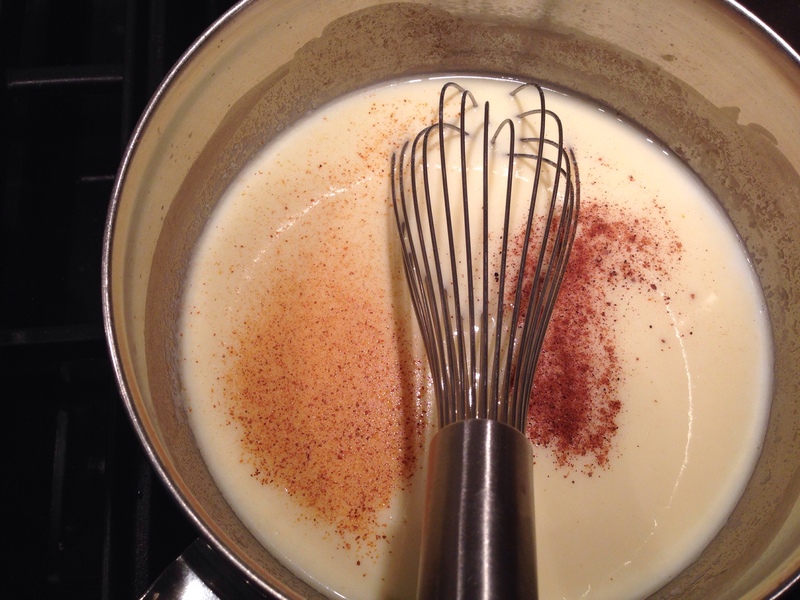 Make a cheese sauce in the sauce pan by melting butter, stirring in flour and giving it a quick cook. Slowly add milk, whisking in as you go to get rid of all flour lumps. Simmer until sauce just starts to simmer. Remove from heat and stir in the grated cheese. Pour noodles and sauce into a casserole. Sprinkle bread cubes on top. Bake in an oven preheated to 350 degrees F. for about 30 minutes.